How do you find a good roleplay? The only real way is to search continuously. Whether you use Google, or you look at random forum ad sections, you'll be hard pressed to find a good one. However, should you take the time to read this ad, then search no further. Roleplay has evolved over many years. People have always been working on systems to try and perfect them. Now, a perfect system has been created. This system belongs to Bleach: Online World. 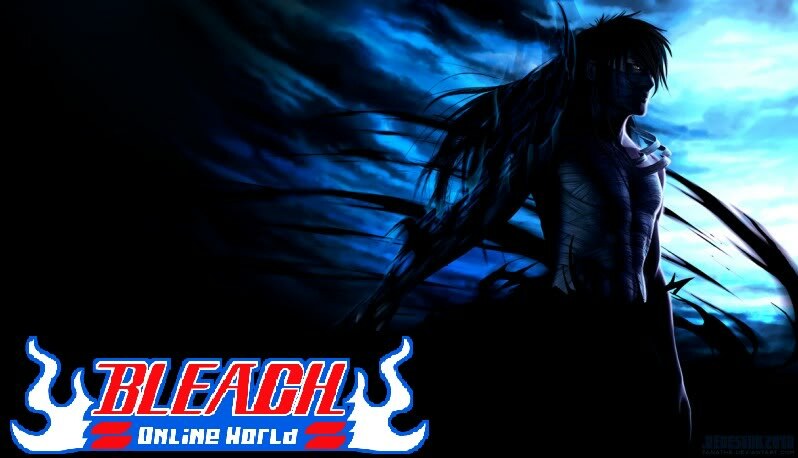 Bleach: Online World is a Roleplay Forum dedicated to the anime and manga known as Bleach, created by Tite Kubo. The roleplay system that has been created has been improved, perfected over many months of hard labor. It is a perfect balance of stats and powers, and two tiers to operate the levels of characters. It is a Medium Level Difficulty Forum, but one that does not turn away the new RPers that want a chance. 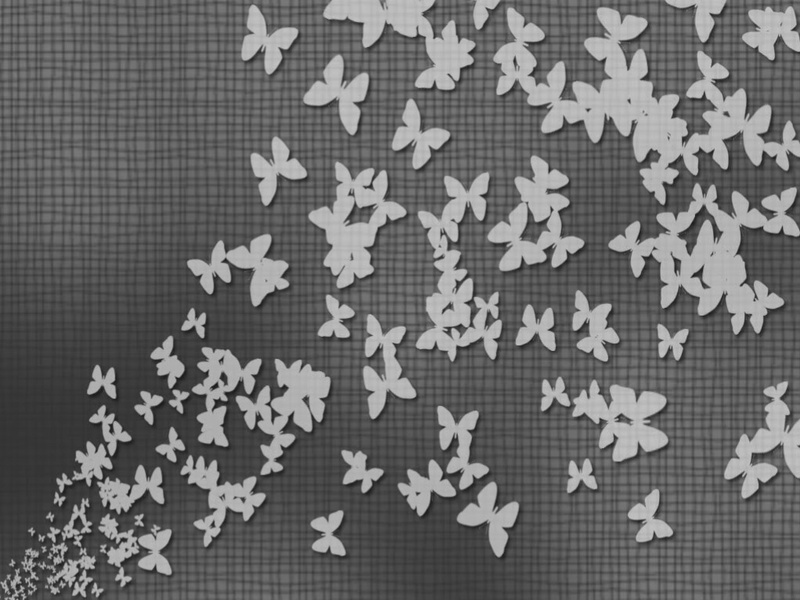 Here, they are taken in and nurtured, and eventually they will grow into experts that will in turn help someone else. We're like the new kid on the block, only a few months old. And yet, we've already come to compete with forums that are years old, such as Bleach Gotei, or Bleach Exile. While the largest, those that came first, such as NFRP and Bleach Society are still a ways ahead of us, we hope that you'll give us a chance, and help us reach our full potential. 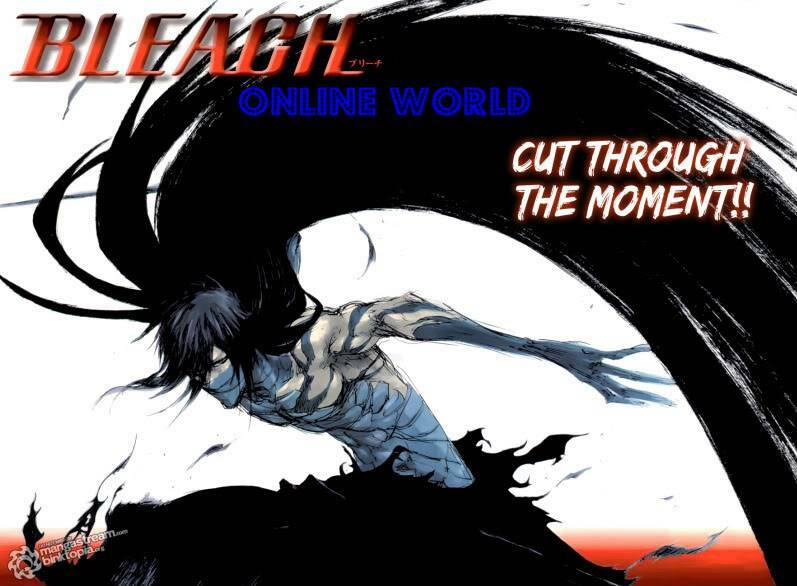 Bleach: Online World is an Alternate Universe Bleach Forum with an amazing and expansive universe that can be adventured in, interacted in, and interacted with as well. Here, everything you do effects the entire universe, no matter how small the effect is. It could change someone's opinion, it could start a chain of events that leads to an entire downfall. Everything is in your hands! The Canon Characters are not existent, though for main plot purposes there are a couple of historical substitutes, such as one called Azeru Cho, the substitute for Aizen. The current plot is unique, and very diverse as well. You may wonder, what's different about this forum? While most forums have corrupt staff, or simply uncaring staff, and systems that have too many flaws and not enough fun, this forum isn't like those. Our staff are kind and caring, and we have NEVER had a staff member that abused power. Here, even the head admin will give you time to talk out your character's plot if you need assistance, or a staff member will walk you through your troubles. We've also got more activities than any other forum. Most forums only consist of three activities. "Social Threads", which are simply threads where characters socially interact, "Mission Threads" where characters work together for a mission story that they make up as they go along, or is run by a Dungeon Master, and "Battle Threads" where PvP occurs. We have many more thread types, including "Story Threads", which run missions related to the plot of this forum, and a huge array of activities in our "Game Box", such as "Canon Fight! ", "Wager Battle", and "Letters to Urahara." We also have more character choices than any other Bleach forum in existence. Whereas most run off of around four, we run off of over TEN! We have Shinigami, Arrancar, Regular Hollows, Humans, Mod Souls, Quincy, and Bount. Those are the MAIN races! There are actually THREE different types of humans to choose from! We also host Vizards (though these are difficult to become), and have our own adaptation of the legendary "Royal Guard", or "Zero Division." With more character options and more variety, we give the most satisfying roleplay experience. Thousands of years ago, spirits wandered the earth with man, and all sorts of untold disasters occurred. Chaos leaked out, wars were started, flames threatened to consume the world. Stories were told of this, stories that warped with time and with varying culture. The stories spoke of dark ages, of the wars. And they all spoke of some kind of solution. The solution that none of them learned about, was the creation of Soul Society. In Soul Society, spirits could dwell peacefully in a paradise with a lifespan longer than those of earth. People could dwell in a world of seeming infinite joy for many years, until time passes enough for a person to pass on again, and reincarnate as a human. Along with this, Seireitei was created. Seireitei, a large Guard of Spirits created by the Spirit King himself, was fashioned with 13 divisions, and with Captains for each. This was called The Gotei Thirteen. These people fought Hollows and Arrancar, creatures that devour souls and seemingly damn them to hell, creatures from an unknown and hellish side dimension called Hueco Mundo. The officers of the Gotei Thirteen eventually were given the duty of passing souls over to Soul Society for paradise lives, and they gained the name, Shinigami. And so as Shinigami, they protected spirits, they protected the human world and Soul Society, which were two sides of the same coin. Even when soul eating humans called Bounts were brought in, or men that could defy physical law and destroy matter, the Quincy, came, the Shinigami did not back down, and could not be defeated. And then, 40 years ago, a man named Azeru Cho united the forces of Hueco Mundo, and built in it a palace known as Las Noches. He combined the powers of Shinigami and Hollows, and perfected the powerful warriors called Arrancar. With his power and with his army, he challenged and warred with The Gotei Thirteen with a set of warriors known as The Espada..
After a fierce battle, Azeru Cho was defeated, and the Arrancar, scattered, were forced into retreating back to Hueco Mundo. The world was saved from darkness and chaos. And now, forty years later, another threat has risen, for both worlds. Arrancar and Shinigami have lived in harmony, rarely coming into contact with each other, living out their own peace in separate places. Soul Society's new Captain Commander, Old Lightning, has kept it running more efficiently than ever. Las Noches' New King, Sonken Kouhai, has kept the Espada stronger than before. But now, for both worlds, new threats have arrived. A hundred years before Azeru Cho gathered the Espada, he was only just beginning to experiment with merging the Shinigami and the Hollows. Through his experimentation, the Vaizard came into existence. Now, after being betrayed and hunted by Soul Society time and time again, and after the recent deaths of two of their long term comrades, the Vizards are fed up with Seireitei. Led by a powerful leader, Zouma Santeku, they have embarked on a quest to obliterate Seireitei, and crush the shinigami. Meanwhile, in Hueco Mundo, a new group of Arrancar has risen. They are not happy with the "swords", or Espada, nor are they happy with the shinigami king of Las Noches, Sonken Kouhai. This new group, the "shields", or Escudo, have decided to band together. With their combined strength, a power rivaling or even surpassing even the Espada, their objective is simple. Dethrone Sonken Kouhai, and obliterate Las Noches. How will the order of Hueco Mundo survive with this war? Even with this happening, other forces have chosen to make their moves. The Quincy, long suppressed and hunted by Seireitei, are beginning to move again. After years of secretly increasing their once near extinct numbers, the Quincy now have an army, more powerful than ever, and ready to attack Seireitei. Led by the new leader, Shauna Melody, The Quincy are ready and willing to assist the Vaizard, and bring the Shinigami to their knees. With the Quincy-Vizard alliance threatening Soul Society, and the Escudo threatening the Espada and Las Noches, dark times toll for both worlds. New doors have opened, and new possibilities fill every choice. Now, what happens is up to you.